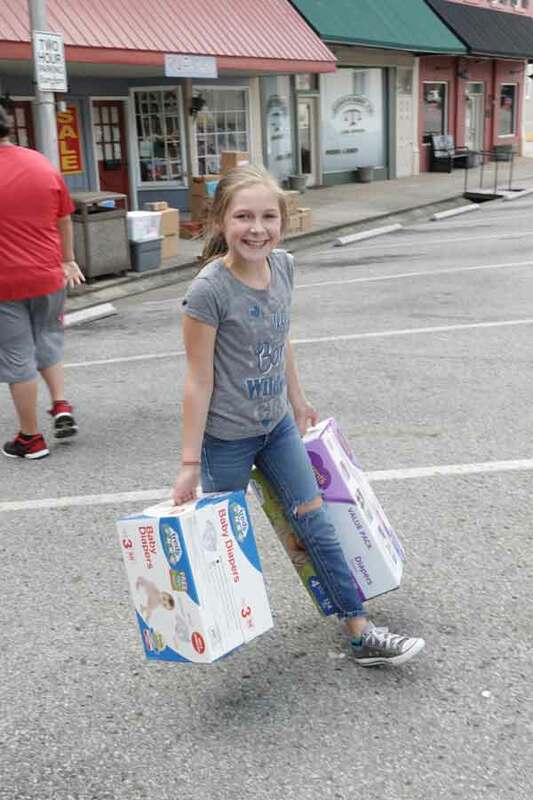 Hundreds of people in Adair and Russell counties as well as other neighboring communities have helped donate and load two semi trailer loads of goods that will be taken to people affected by Hurricane Harvey in Texas. Semi driver and owner/operator Tyler Absher will leave Columbia tomorrow with a trailer filled with items that range from diapers, cleansers, to food and water and medical supplies. Volunteers meticulously organized and labeled items so they would not have to be sorted when they reach their destination. The J.O.Y. Ministries building at 212 Public Square in Columbia was so full Wednesday they had to load a trailer to make room for more. A second trailer was almost filled by Thursday evening. 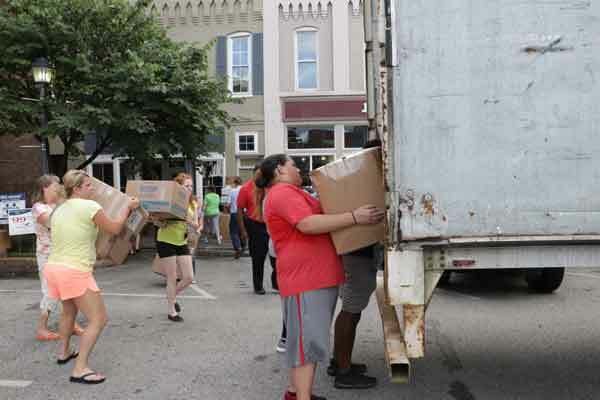 The ministry will continue to receive items and people will be available at the building located on the square until 10 a.m. Friday. Anyone wishing to donate but can’t make it by Friday morning can still do so. J.O.Y. 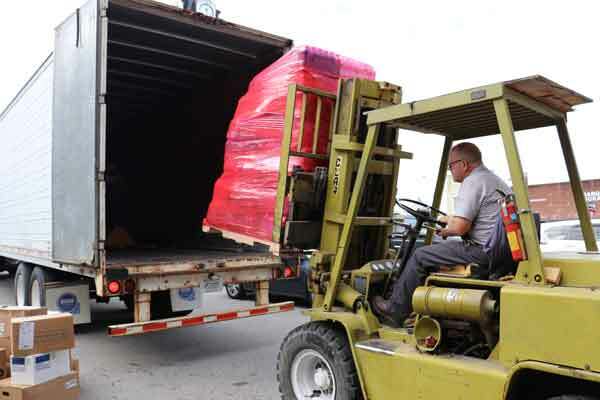 Ministries will accept donations and plans to deliver items every couple of weeks as long as there is a need. Anyone with a CDL that is available to take a trailer or has a semi and trailer to Texas can contact J.O.Y. Ministries at 270-380-1808. Cases of water, Canned goods, Stuff for babies needs, Personal hygiene items, Cleaning supplies, Dry foods that take little or no preparation, Toothbrushes, Toothpaste, Baby Formula, Pop top lids on all canned foods, Toilet paper, Paper towels, Dawn soap (specifically DAWN), Clorox wipes/bleach (for cleaning), Mosquito spray, Towels (all sizes), Baby diapers, 33 gallon trash bags, Baby wipes, Tampons/pads, Soap/shampoo, Latex gloves for cleaning, Deodorant, First aid kits (bandaid/alcohol/neosporin), Socks, Ziploc bags quart size.